I have a crazy sweet tooth, and have always loved Cheesecake. What’s not to like? 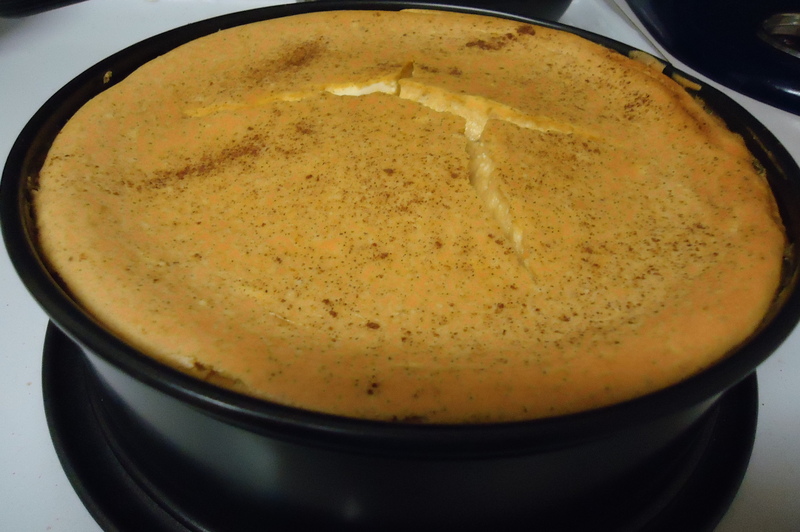 It’s got a creamy filling that is both sweet and tangy, and often a graham cracker crust. In fact, my sister is the only person I know who doesn’t like it. We’ll give her a pass on this one as she usually has excellent food judgment. I’ve never really considered making Cheesecake, just mostly ordering it off menus. I recently decided to make it at home after finding myself at Macy’s in the kitchen section (again), holding new plates, a set of peelers, and a random spring-form pan. I’m not sure how these things always happen to me. Other people impulsively buy purses or shoes. For me it’s always kitchen gadgets…and well purses and shoes. Right then and there I decided I needed this pan (peeler and plates), and couldn’t possibly go another day without adding it to my already packed cabinets. Enter Paula Dean. I frequently consult her if I want the real deal version of a dish. I also frequently consult my downstairs market when the weather is bad, and was able to pick up all of these ingredients for her recipe. 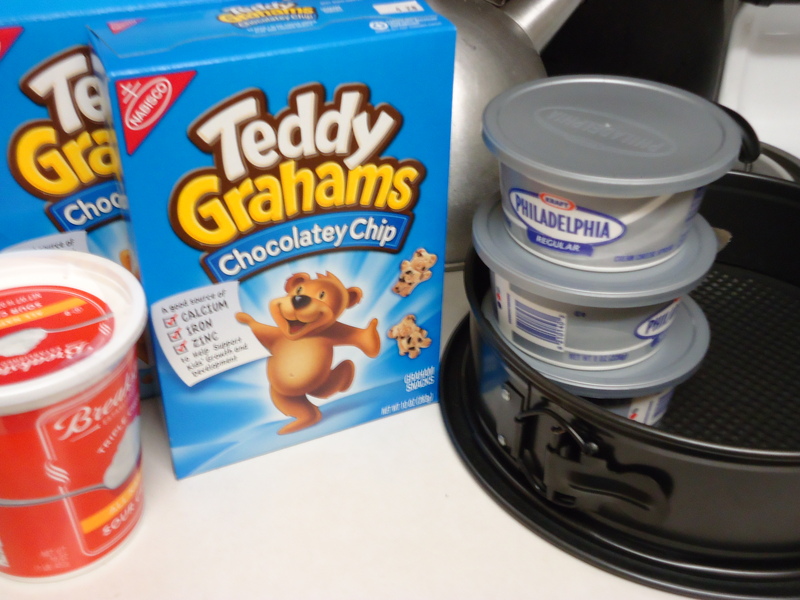 Preheat oven to 350 degrees F. Pulse Teddy Grahams in a food processor until you get fine crumbs. Combine the crumbs, sugar and cinnamon in a medium bowl. Then add the melted butter. To be perfectly honest, I could have stopped there and rebaked this goodness into a cookie. 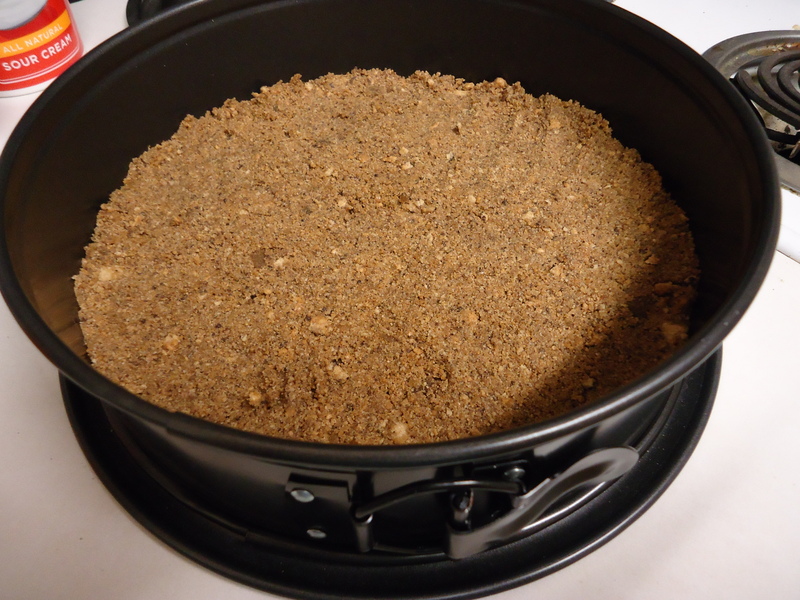 Instead I followed the recipe and pressed the crumb mixture into a 9-inch spring form pan. Set aside. Now beat the cream cheese until smooth in a mixer. Add the pumpkin puree, eggs, egg yolk, sour cream, sugar and the spices and blend together. Next add the flour and vanilla. Then beat together until well combined. Pour the yummy filling into crust and bake for 1 hour. The result should look like this. 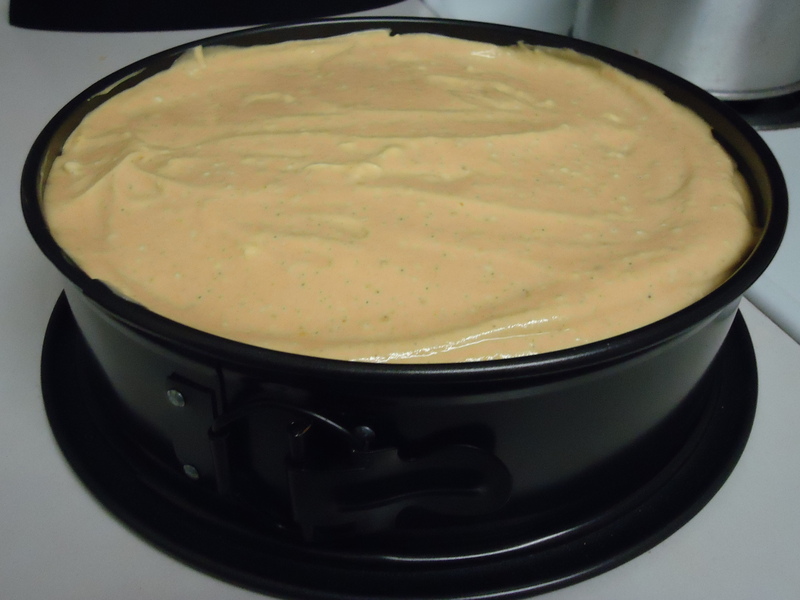 Let the Cheesecake cool for 15 minutes and cover with plastic wrap. Now comes the hardest part! 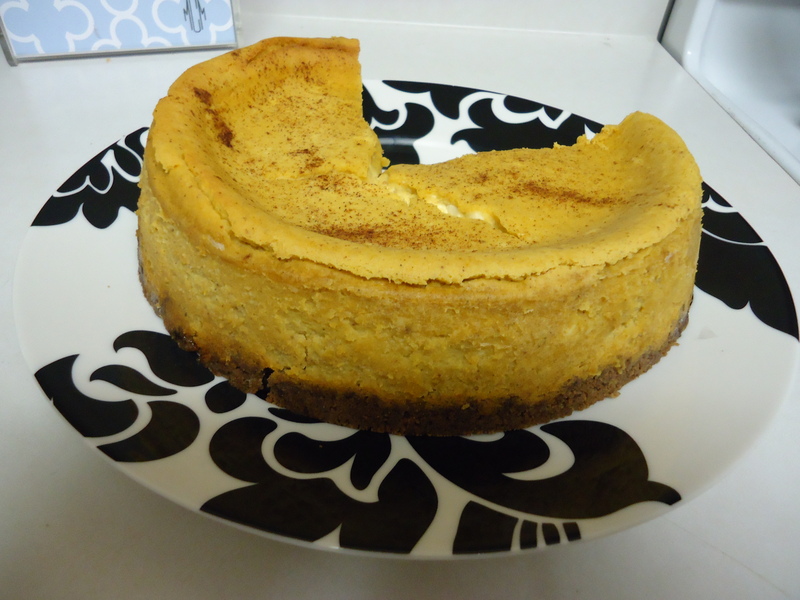 You’ll need to refrigerate the cheesecake for at least 4 hours prior to serving. 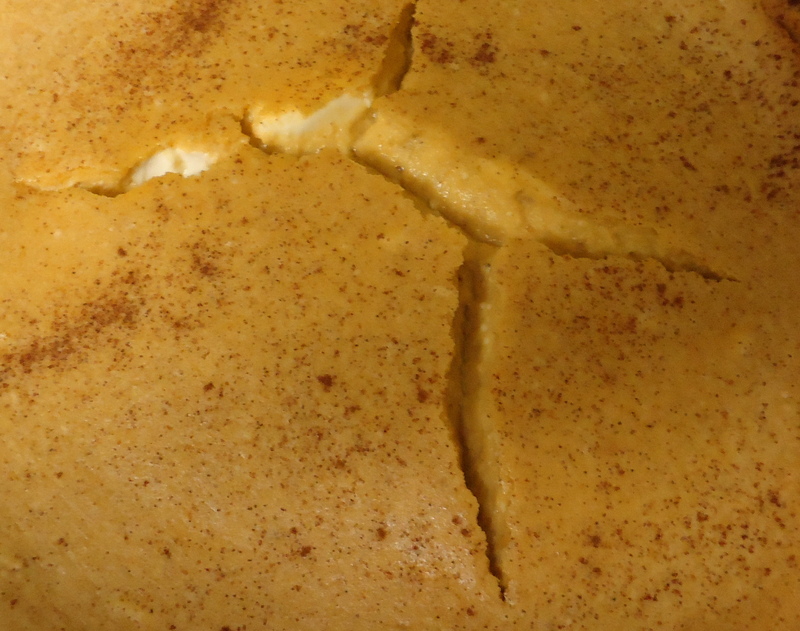 Do not panic if your Cheesecake cracks! Mine had a crack the size of the Grand Canyon and was still marvelous. I’ll be honest, it was very hard to wait for this to chill overnight, and I seriously contemplated a piece for breakfast. Absolutely delish!